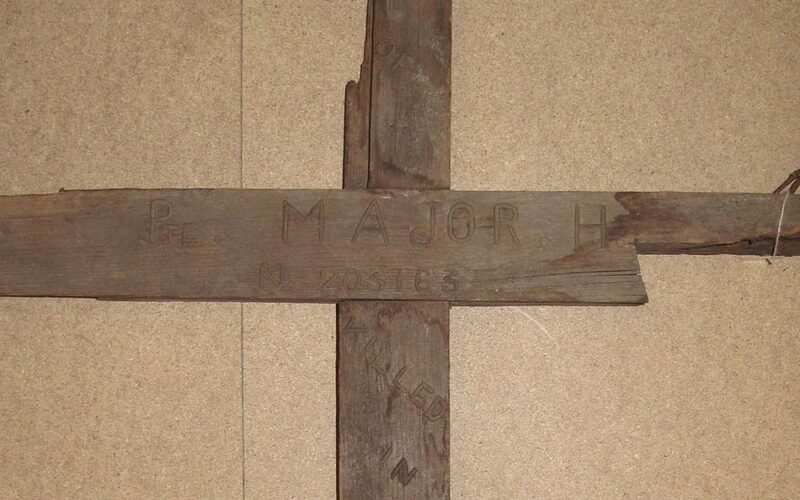 There used to be a Battlefield Cross for Bernard Hedley Charlton in the church of SS Philip and James in Tow Law, Co. Durham. Bernard Hedley Charlton was the mine manager in Tow Law before the war. 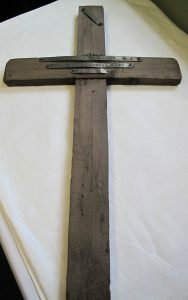 The vicar of the church decided that the cross would be better housed in the Regimental Museum of the Green Howards in Richmond. The transfer was duly made in March 2012. A description of the cross in the Green Howards Museum can be found on the Yorkshire Regiment Remembrance website, What is clear, on looking at the photos, is that the base of the cross has rotted. 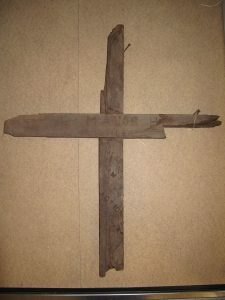 I therefore assume that this cross was the original one, and was subsequently replaced on the battlefield cemetery by the cross which can be found in the church at Guisborough. This second cross is relatively undamaged, – e.g. the base still has a “spike”. Other information: Condition (cracked, paint peeling, woodwork, damage etc): Quite poor condition, possibly some text missing on broken arms. Harry Major was the son of James and Mary Ann of 11 Chelmsford Street, Darlington. He was 28 when he was KIA on 16th July 1917 while serving with ‘Z’ Company of 4th Battalion the Princess of Wales’s Own Yorkshire Regiment (otherwise known as The Green Howards.). He was born in Middlesbrough, resided in Darlington and enlisted at Sunderland. This cross was rescued by Sean Godfrey, Chairman of the Cleveland Branch of the Western Front Association, from Darlington West Cemetery and donated to the museums in the 1990s. We have nothing to confirm that this was an original grave marker, it could also have been a local, Darlington/family manufacture to mark a place of memorial, given Private Major is buried at Rookery British Cemetery at Heninel. Survey and photographs courtesy of Steve Erskine, Assistant Curator, Green Howards Museum.